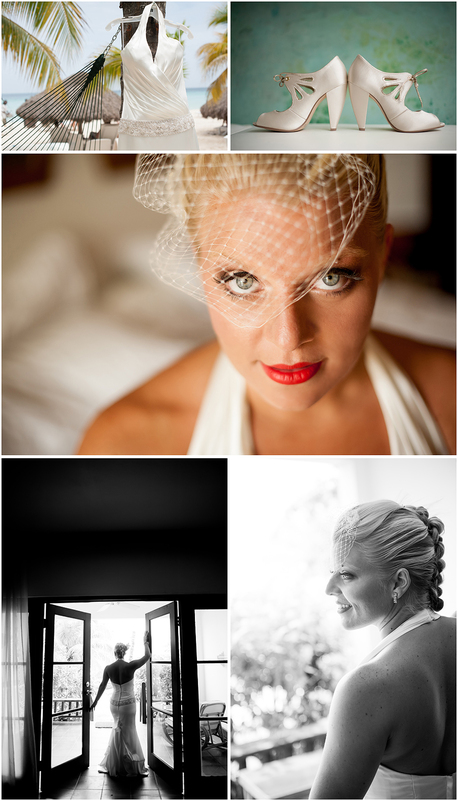 In the Beginning of the summer Anne (our studio coordinator) and I travelled to Jamaica to attend and photograph Samm and Adam’s wedding! This was my very first time capturing a destination wedding in the caribbean and I was a little nervous on how it was going to go! But once I arrived and saw beautiful Jamaica, I knew it was going to be almost impossible to take a bad photo! On the day of the wedding Samm and her girls did each others hair and got dressed all together in a suite that opened up to the sandy beach. Once they were all primped and prepped they walked down a sandy path to the ceremony in their bare feet. 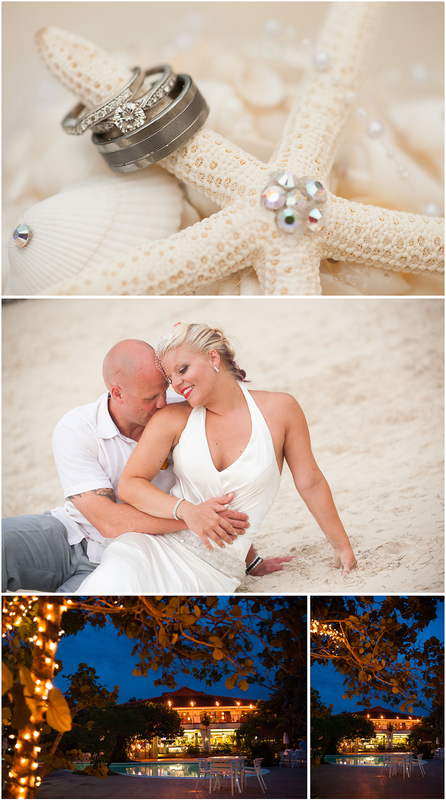 The Ceremony took place right on the beaches shore near the breathtaking blue water. I was overwhelmed with emotion when I watched Samm commit her life to Adam. Seeing the way she smiled at him really touched my heart and made me excited about LOVE!! After Samm and Adam said their “I Do’s” the wedding party and guests joined them in a champagne toast and cake reception. It was so great for me to see so many of Samm and Adam’s friends and family there to support their union. In fact we were told by the resort that this was the largest wedding group they have ever had!! How cool is that!? Congrats Samm and Adam on your amazing wedding and new life together!